Have you ever held a brick of gold? The weight of the brick, the shimmer of its finish, its inherent valueits all intriguing. People have gone to great lengths to acquire gold, knowing it would change their lives. What if we viewed Gods Word in a similar light? 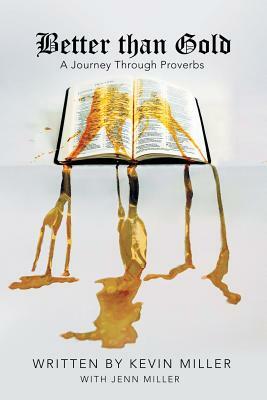 In this thirty-one-day devotional, youll dive into the gold mine of wisdom that is the book of Proverbs as you learn why Gods Word is truly better than gold. This devotional is perfect for individual and group Bible studies, and each chapter ends with follow-up questions.